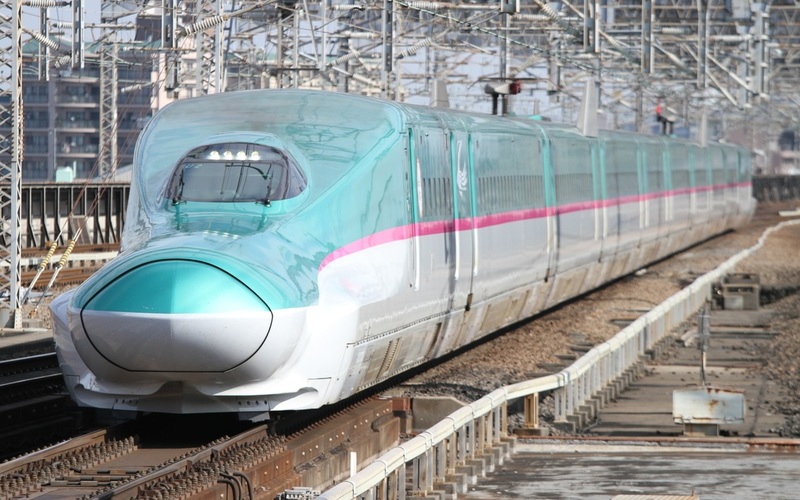 The E5 Series is a Shinkansen-type electric multiple unit developed by JR East to become the new standard train operated on its Tohoku Shinkansen Line. 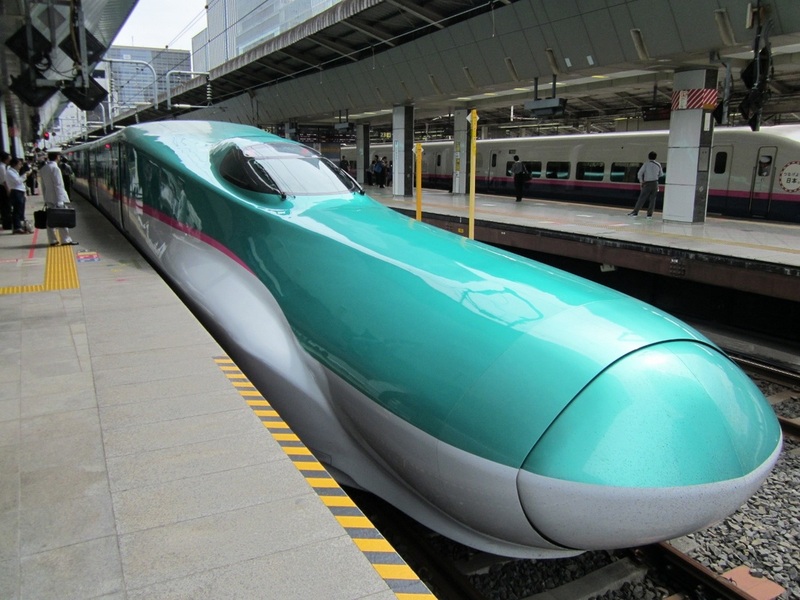 Commonly known as the Hayabusa, the name of the super express that it is operated as, the E5 Series was built to replace every full size Shinkansen that JR East operates on the Tohoku route. The train is impossible to mistake for any other with its extra-long nose and green paint scheme. The design is said to reduce the amount of noise created when it enters and exits tunnels, but it has also reduced the amount of seating in the front car. In fact, the nose makes up for more than half of the entire end car. 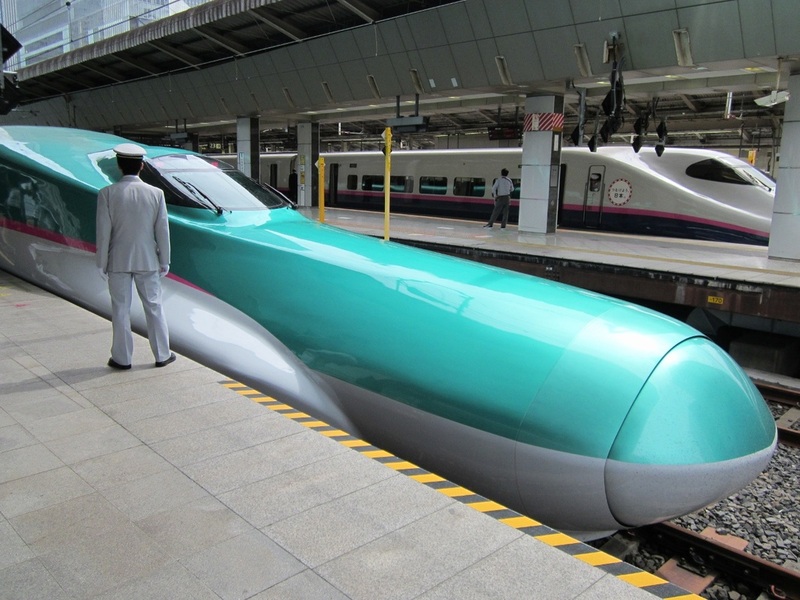 It is currently operated at a max speed of 300km/h, but it is scheduled to be increased to 320km/h as of Spring 2013. One interesting feature added to the E5 Series is the new and exclusive Gran Class seating which is located on the front car facing Shin-Aomori. Gran Class is JR East's answer to first-class seating on an airliner and is even more expensive to ride than the Green car. The prototype for the E5, known as Fastech 360, was known for its cat-ear shaped air brakes earning it the nick-name "Neko mimi Shinkansen" which means cat-ear shinkansen. These were seen as unnecessary and were not adopted by the production model E5.